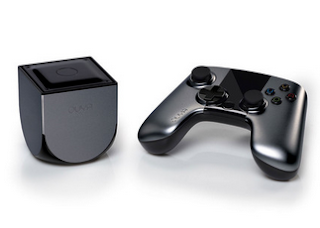 OUYA's CEO, Julie Uhrman, has confirmed at the DICE (Design, Innovate, Communicate, Entertain) Summit that the OUYA will soon be rocking two games from each of Words With Friends creator Paul Bettner and Double Fine Productions’ Tim Schafer! Double Fine will be offering Reds and The Cave, but we're not sure what Paul Bettner’s Verse will be creating! With a little less than a month left until Kickstarter backers get their OUYA's is anyone else starting to get excited?! For those of you in the UK here is a full list of stores which HMV will be closing as part of their restructuring and be warned that there is a lot going in Scotland, possibly all of them in Edinburgh! Unfortunately this will also mean that 930 staff will lose their jobs. The guys over at Samsung and EA's mobile division Chillingo have teamed up to release a new programme called 100% Indie. Essentially the hope is that this will increase the availability of indie apps! The program will give devs 100% of the earnings from March 4 for 6 months from when the app launches. After that the devs will have to split profits 90/10 until the end of the first year when the split worsens to 80/20 and then after the second year everything goes back to the normal 70/30 split! This is a good way to launch your new app by the looks of it! Ubisoft have announced that their upcoming game, Rayman Legends,will no longer be a Wii U exclusive. Instead it will be released on both the Xbox 360 and PlayStation 3 in addition to Wii U. Annoyingly for Wii U owners this means that the release date will be pushed back from February 26th to September! Sony has announced via their blog that they will be issuing the Android 4.1 Jelly Bean update to the Xperia T and Xperia V this month, with Xperia TX following next month! Sony said the update will add a host of new features including Google Now and Sony's Walkman app amongst many others! Head over to Sony's announcement to check out the details in full! Ubisoft has announced that there will be a new Assassins Creed game landing at some point between this April and next March! Ubisoft has also announced a whole host of games for Windows Phone, including Rayman! Head over here to check out the games in depth! Boeing have reportedly redesigned their batteries in a bid to get their grounded 787's back in the air! The solution they're working on is not permanent but it would mean the planes can run safely until something more permanent is worked out! And finally, Blackberry's well received Z10 has been drop tested. We can't help but feeling that there are better uses for devices which cost £500 or more, but while people can do drop tests then they will definitely continue to! Check out the video below as we Blackberry's supposed saviour dropped onto carpet, hardwood and concrete!